Okay so by now we all know that I am not a makeup guru, neither am I a makeup artist. 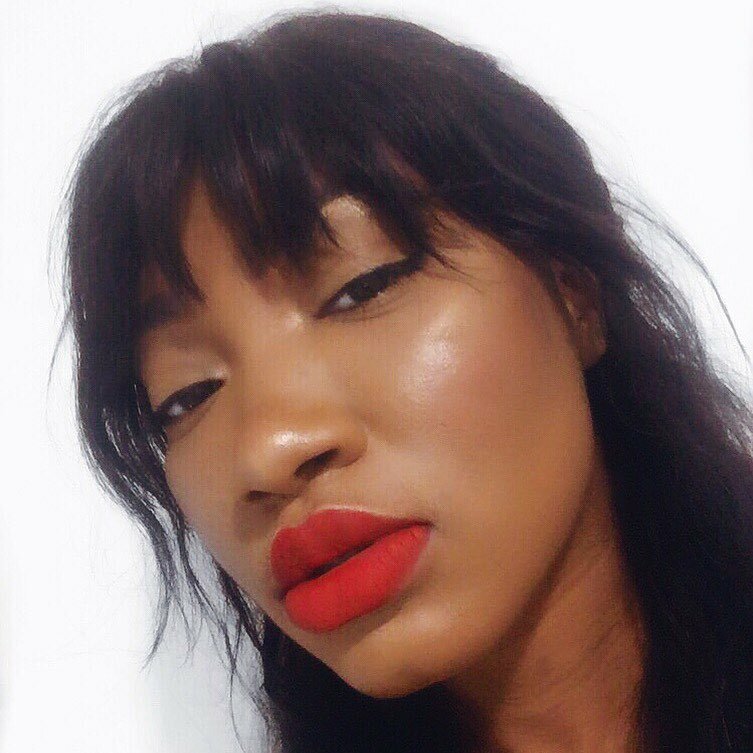 I'm just a massive makeup enthusiast that loves to share my tips and tricks that I've learnt and use over the past few years to hopefully inspire someone else. All that being said I always get asked how I get my makeup looking so flawless or how I get my makeup to last so long and every time I'm asked that, I laugh and respond 'Uuhmm why do you ask me?'. I guess it's because people believe that I have a 'flawless' makeup look. I for one don't see it because I'm so nit picky about everything and never truly believe that anything is flawless or perfect. But since I'm always asked, I thought it'd make sense to share with you today how I achieve my FLAWLESS MAKEUP LOOK and how I'm able to make it last ALL DAY. Now wait! when I say all day, I mean roughly about 10 - 12 hours. Yes I sometimes do wear my makeup for that long. For days that I go out with friends straight after work, I wear my makeup to work which probably makes about 8 - 9 hours of my day and then depending on what I do on a night out that could take me to about 10 - 12 hours of having my makeup on. I'll try and make this a well in depth, informative post without it being too long and boring, so here we go. When it comes to creating a flawless look the most important thing is your base and when I say base I'm referring to your skin. A clean, healthy skin is the key to creating a flawless makeup look and I cannot stress enough on how important this is. It's the initial steps you take before putting your makeup on that makes the biggest difference. Think of it this way, makeup is a form of art and to create any good piece of art one of the key piece is the canvas. So think of your face as the canvas. It's all about getting your skin prepped and ready for the makeup application. You need to cleanse, exfoliate and tone your skin on a regular basis. This should be part of your skincare routine, so if you don't have a skincare routine I suggest you get one. I will be sharing my skincare routine with you SOON. Feel free to use my skincare routine or incorporate some of the products I use in your routine. The second most important thing is keeping your skin moisturised and hydrated. There is a lot of focus on primers these days and as much I do like primers I feel what's even more important than primers are moisturisers. This plays an important role in the way your makeup sits. Keeping your skin moisturised makes your skin soft for a smooth, even, flawless and effortless application. Your hydration levels fluctuates throughout the day which causes your skin to look uneven. So by moisturising, your skin looks smoother, firm and even all day. On the days that I do wear makeup I double or triple the amount of moisturiser I use. So to put things into perspective, if you use a teaspoon of moisturiser on a daily basis (and please whatever you do, do not use that much moisturiser on your face on the daily lol. I'm only using this as an example), you'll have to use two or three teaspoons on the days that you wear makeup. When you apply your moisturiser, you want to massage this thoroughly into your skin and have it sit on your face for at least 5 minutes. This way the moisturiser soaks up into your skin so that you're not left with a slippery mess on your face. The more slippery your face is, the more likely your foundation is going to move. Primers work just like moisturisers that's why I always feel like even though they do play an important part on the longevity of your makeup, you can do without it if you have a really good moisturiser that caters for your skin needs. The number one benefit of a primer is to lock in the moisturiser and provide a smooth surface for makeup application. Primers are also exceptionally good for people with oily skin who feel like their makeup tends to slip off. I LOVE setting sprays. I have been using them for about 5 or 6 years now and it's never let me down. I have super, crazy oil skin and setting spray help my makeup last all day. Setting sprays are like hairspray for your face or a top coat for your face. It helps to set your makeup, keeps it in place and makes your makeup look fresh throughout the day. One thing that I see on YouTube/Instagram that I dislike a lot is how excessive people are with the amount of products they use be it foundation, concealer, contour, setting sprays etc. The best way to use a setting spray is to spray it in an X and a T shape, focus it on the areas that tend to get oily the most. So this is how I spray it, I hold the bottle about 8 to 10 inches away from my face and then starting from the left hand side of my face I spray it diagonally across my face. I repeat this step on the right hand side of my face and still holding the bottle about 8 to 10 inches away from my face, I spray it on my T-Zone. That's it! Simple, easy, quick and only a small amount of product used. No need to drench your face in setting spray because that totally defeats the point. The tools and makeup products you use are as important as the things I've mentioned above. I've been using the Real Techniques Miracle Complexion Sponge and the Real Techniques Buffing brush (from their core collection) for years to apply my makeup and I absolutely love the finish these two give me. I recently purchased the Beauty Blender (which is way more pricey than the complexion sponge) and I must say I am in love. I have a comparison post coming up soon where I compare these two and let you in on whether the Beauty Blender is worth all the hype. Now both the beauty blender/sponge and the buffing brush give me a flawless finish, however the buffing brush gives me a more high coverage than the beauty blenders. I normally use the beauty blenders for my liquid products and the buffing brush for my creamy/powder products. I'm sure you've already heard this before and even I still find it hard to do and I keep having to remind myself constantly that 'Less is More'. If you want that no makeup makeup look and want to avoid a cake face then go in with a light hand, apply a little and gradually build up the product. Foundation is only supposed to be a base to hold your entire makeup together. If you want to hide any scars or dark circles then rather than piling on foundation switch to a concealer and only target your problem arrears rather than your entire face. Whilst we're on the topic of foundation, this shouldn't be news but I'll say it anyway. Choosing the right foundation has to be part of the makeup 101 booklet. 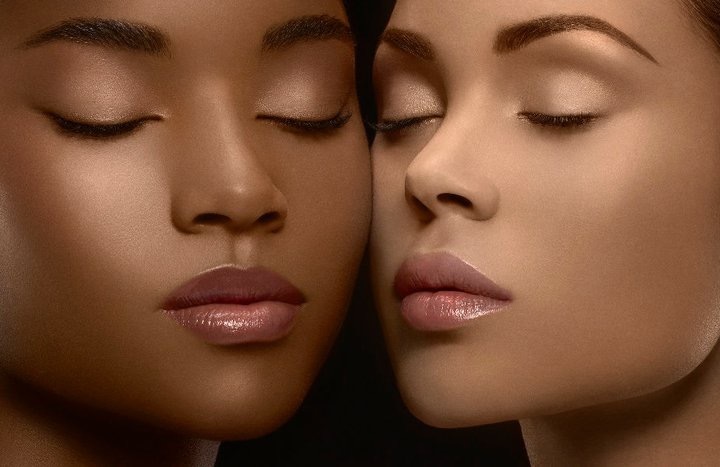 It is important that you're using the right makeup for both your skin tone as well as your skin type. Basically if you have a dry skin type and you're using a super matte foundation, chances are your makeup is going to look dry and flaky. Same goes for skin tones. If you have a warm skin tone like myself, you want to use a foundation that has an orange undertone. 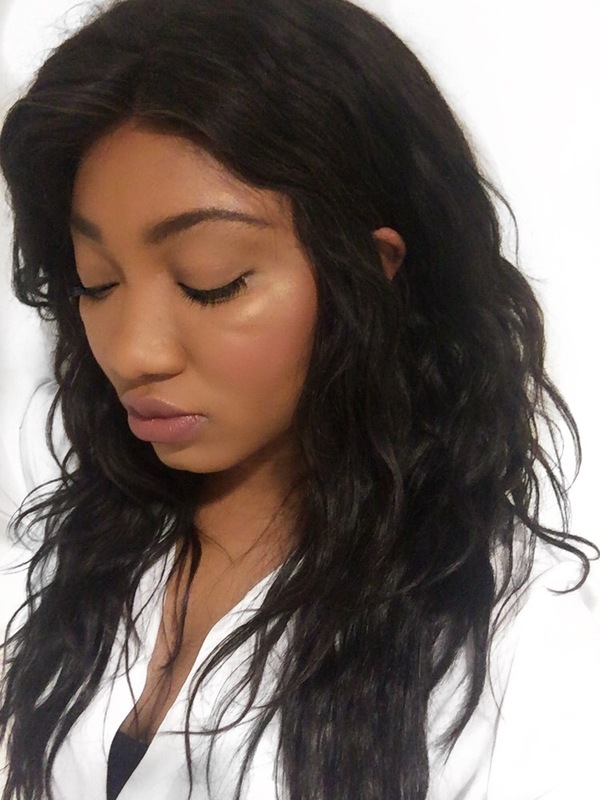 Using a foundation with a pink undertone geared towards people with cool undertones, will tend to make you look ashy when your foundations sets or oxidises. So choose the right foundation. Another key point to remember with makeup application is to put on all your liquid products first and then your powders. For every liquid product you use, you need to set it with a powder. So when you use a liquid concealer you set with a translucent powder as many of us now know as baking. When you apply a liquid contour you need to set it with a powder contour/bronzer. Seal your makeup with a powder so that your makeup stays put and last all day. So now you know all there is to know about achieving that flawless makeup look but how do you maintain it to look the same four hours on end. You need to blot your face, simples! This is for everybody, whether you have dry skin or oily skin. You need to blot your face with a blotting paper or tissue paper through out the day. If you don't own a blotting paper, a toilet paper will do just fine. Use this to take the oil of your face by gently patting not rubbing the paper on your face and then going over with a powder to set your face. This is one of the biggest mistakes that most of us do. The minute we begin to get oily, we just add more powder to get rid of the shine but that only does you more harm than good. By adding more products without blotting, you are pushing the oils back into you skin, piling on products upon products, creating a cake face that we all hate. Your makeup will then tend to look thick and greasy and eventually will start to melt. And lastly, hands off. Everybody is guilty of this. The last thing you want is to mess up all the hardwork you've put on your face by touching your face and picking at it. I'm supposed to be doing what I preach and even I till this day still do it. I catch myself doing it all the time and always have to stop myself. I'm getting better but there's definitely room for improvement. So I hope you guys learnt something from me today but most importantly I hope you enjoyed the read. I know it was long but I wanted to make sure I didn't miss a thing. I'm always learning new things and trying new techniques so this will keep changing and when it does, I will let you in on it. I am planning on incorporating more educative and informative posts like this on my blog from time to time so let me know what you think. Did this help you in any way? Are you keen on trying any of these to see if it works? Do you like this kind of posts? Comment down below and share your tips and tricks for looking flawless all day. Let's start chatting. Share this post if it helped you. Who knows, it might help someone too and don't forget to tag me in them if you do. I'm on facebook, twitter and instagram. If you enjoyed this post and would like to see more educative posts like this then don't forget to hit the Subscribe button and get notified whenever I publish a new post.